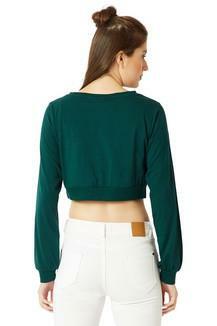 Make an exciting choice for a casual outing with this simple, Pompom and Twill tape boxy crop top from Miss Chase. 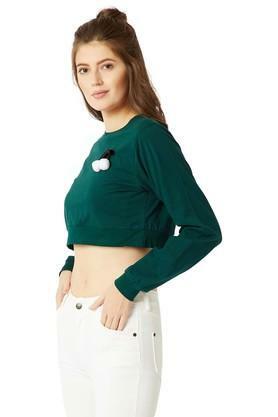 Made from cotton fabric, this top will be perfect according to your convenience. Featuring a round neck, full sleeves and solid pattern, this top boasts of enticing poise. 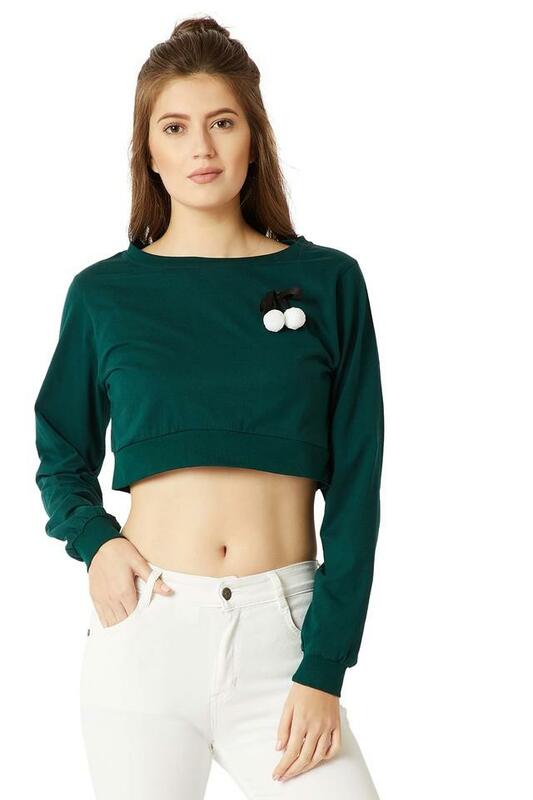 Fusing feminine shape with contemporary design, this Pompom and Twill tape boxy crop top. Coordinate this top with a pair of jeggings and ballerinas for a chic look.